There’s a lot to remember on your way out the door—briefcase, keys, jacket, gym shoes, your kids. The less you have to think about, the better. So let smart locks take a few things off your plate. 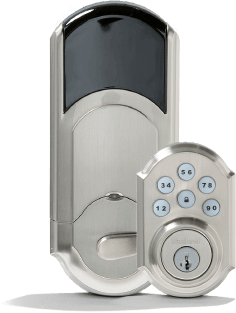 They make it easy to deadbolt your doors, turn off your lights, change your thermostat, and arm your security system all at once. At the end of a long day, searching for your house keys can be a hassle. So no more fumbling through your pockets, bag, or briefcase. 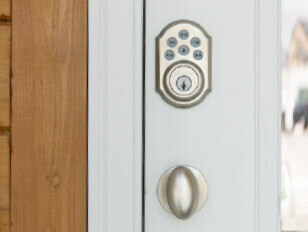 With smart locks, just enter a PIN code to unlock the door. Your smart home will disarm your system, turn on lights, and adjust the temperature automatically as you walk in. Welcome home! The door’s always open. Sort of. Coordinating schedules with family members and visitors can be tough. So don’t. With smart locks, you can assign up to 30 unique access codes, so everyone can come and go on their own time without leaving a spare key out in the open. Plus, your smart home tracks codes to keep you informed about who is in your house at any given time. A smart home is equipped with technology to remotely control and automate household systems like lighting, doors, thermostats, entertainment systems, security alarms, surveillance cameras, and other connected appliances. But, it’s more than just remote controls. Smart home introduces artificial intelligence to transcend the remotes and programmable settings that have been standard home features for the past several decades to create a centralized, self-regulating home monitoring, control, and energy conservation ecosystem. Learn more about smart home here. Home automation refers to technology installed in homes to remotely control and automate household systems like lighting, doors, heating and air conditioning, entertainment systems, security alarms, surveillance cameras, and other connected appliances. The programmable thermostats, sprinkler systems, coffee makers, and entertainment systems that have been standard home features for decades can be considered home automation. But, by today’s technological standards, the term home automation typically refers to a more advanced and complex set of components. To learn more about home automation, click here. How to make your home smart. To make your home smart, you need to combine smart components like doorbell cameras, security cameras, smart thermostats, door and window sensors, smoke detectors, and other home control devices into a unified network with a central control dashboard and an artificial intelligence algorithm. 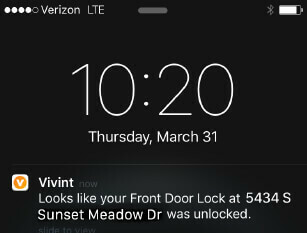 When you install a smart home platform like Vivint Smart Home Cloud, for example, managing your home gets significantly more convenient. 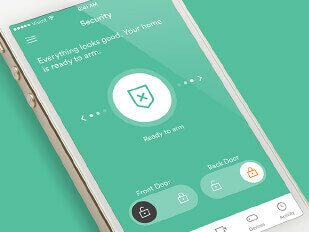 With Vivint Smart Home Cloud, you’ll no longer need to switch between different home control apps or walk through the house flipping switches by hand. To learn more about home to make your home smart, click here.